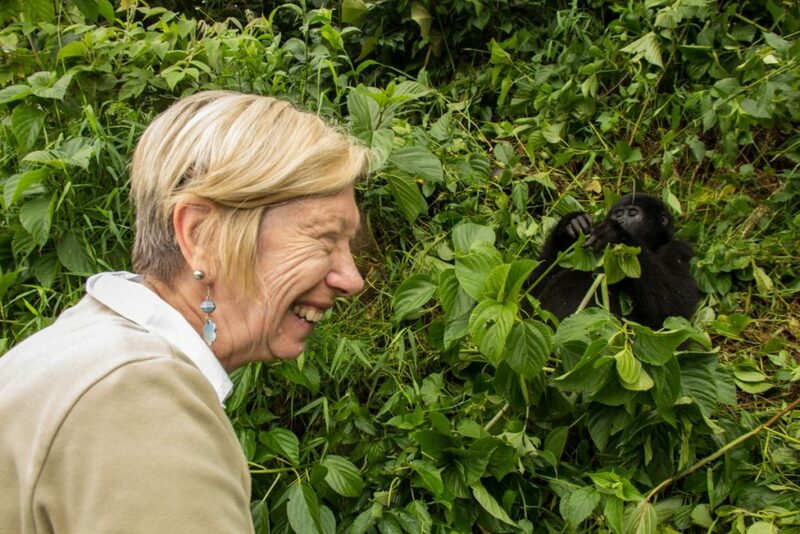 The national park formerly known as Kazinga national park by 1952 gained its current name by 1954 as a commemoration to a visit by Queen Elizabeth II therefore the name Queen Elizabeth National park. The park is traversed by the equator line with monuments on both sides of the road to show the exact spot where the southern and northern hemisphere are separated. 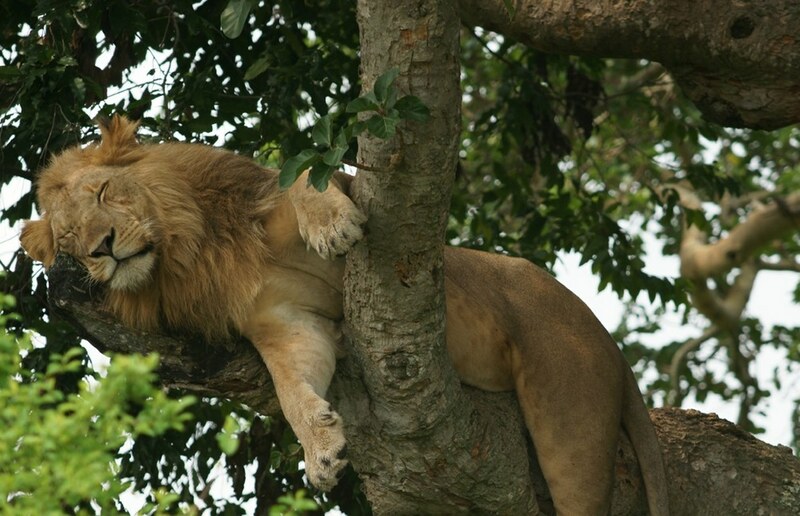 The seemingly dangerous lions actually do climb trees! 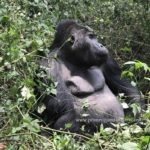 Uganda wildlife safaris to Queen Elizabeth National Park actually attests to this with a number of them reluctantly resting on the fig stems. 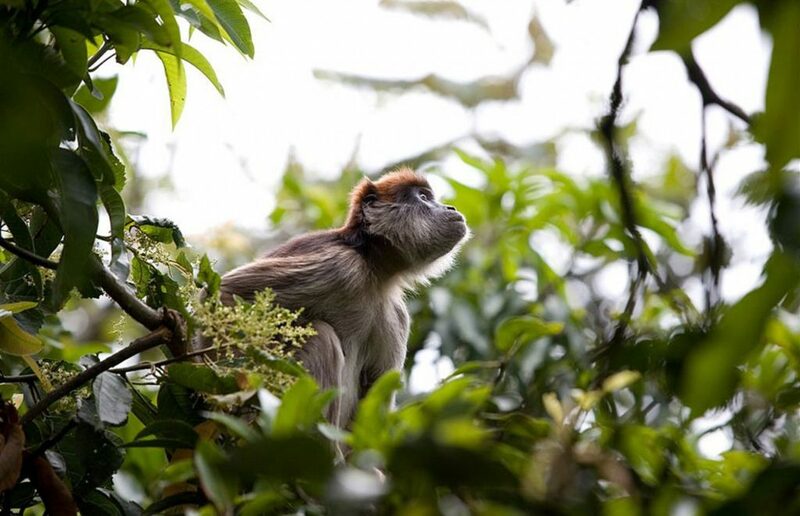 Wildlife at the park is breath taking with about 95 mammal species and some of the most popular ones include, African leopard, African buffalo, Ugandan kob, African bush elephant, Nile crocodile, the lion, the hippopotamus, the water buck, and chimpanzees. 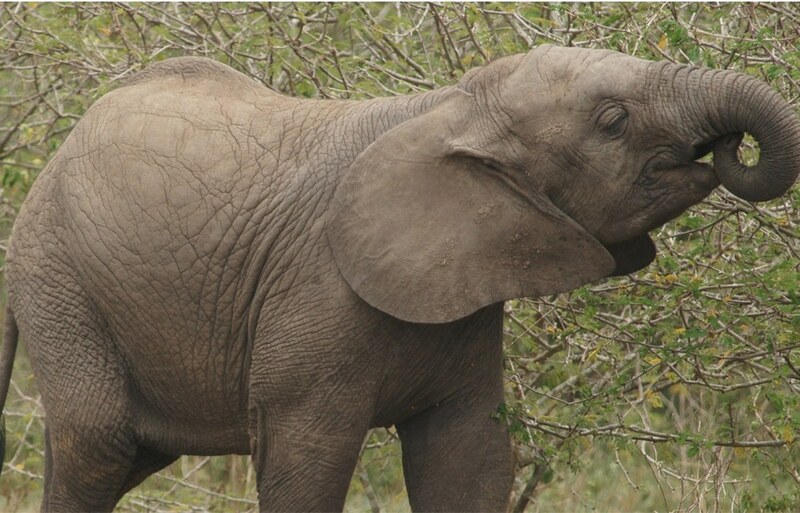 The big games are about 5000 hippos, approximately 2500 elephants and over 10,000 buffaloes! 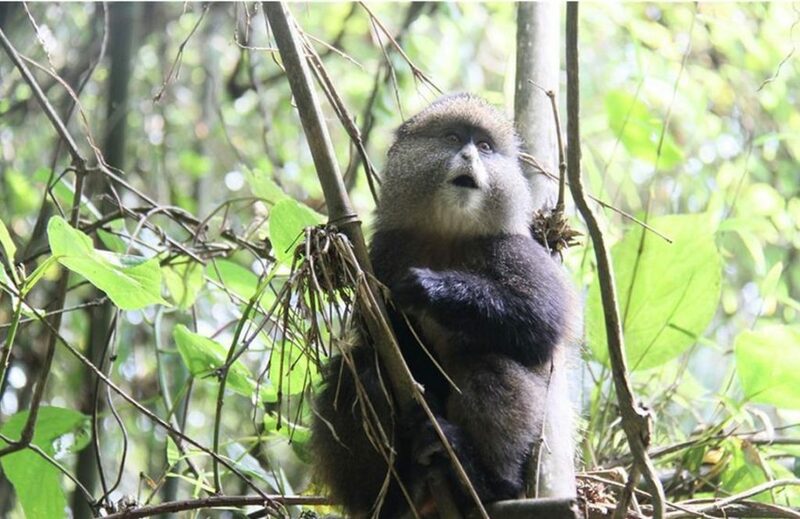 The primates are about 10 species including the chimpanzees, vervet and the black and white colobus monkey but the most daring of them all is the bold baboon. 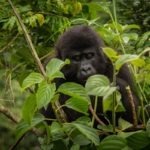 The big cats like the interesting tree climbing lions, the nocturnal and fiendishly well camouflaged leopard, the civet, genal and several other creatures of the wild are part of the thrilling wildlife encountered on a Uganda wildlife tour. 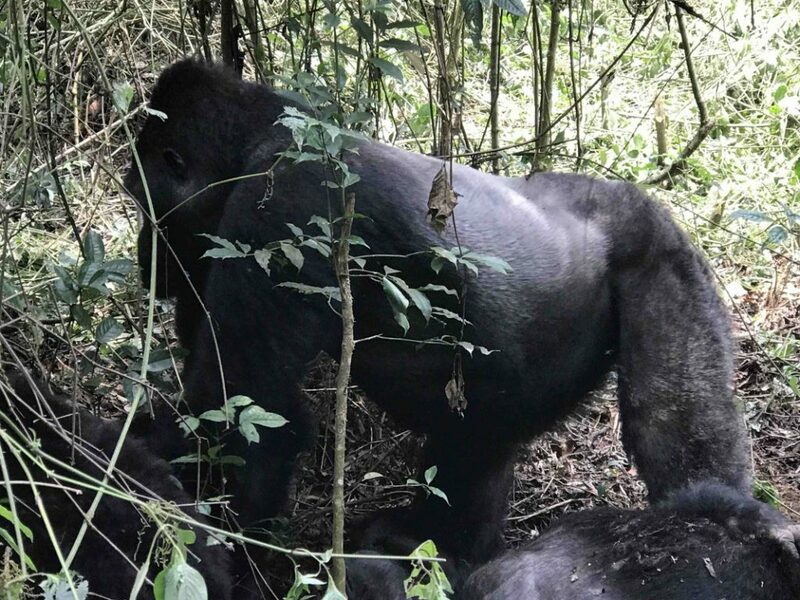 A lot of wild game will excite the tourist but the tree climbing lions reluctantly enjoying the calmness of the tree branches at Ishasha in Rukungiri district will captivate lifetime memories. All these animals within one area and the place is still so calm, wow! 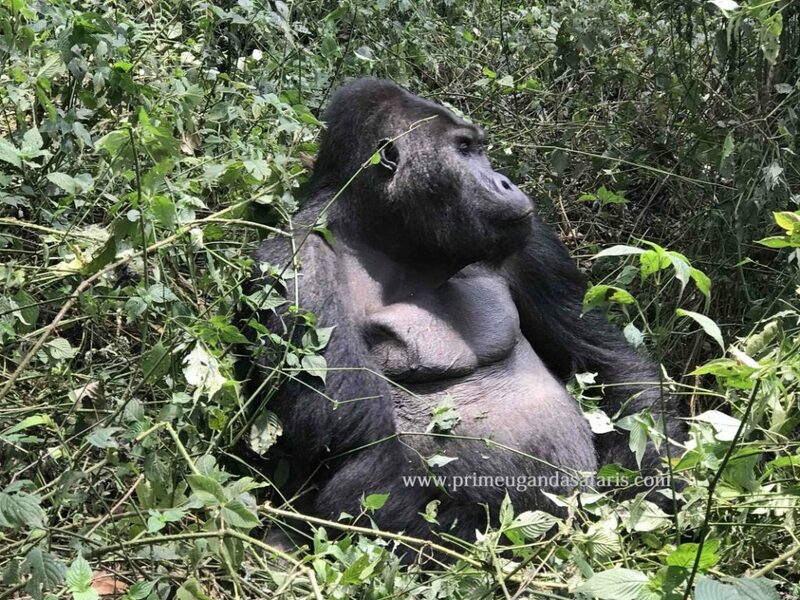 this attests that the park is that haven for your wildlife safaris in Uganda as you enjoy to watch some of the great Ugandan beauty. Birds in the diverse eco system are approximately about 600 species, a phenomenal number for such a small area. 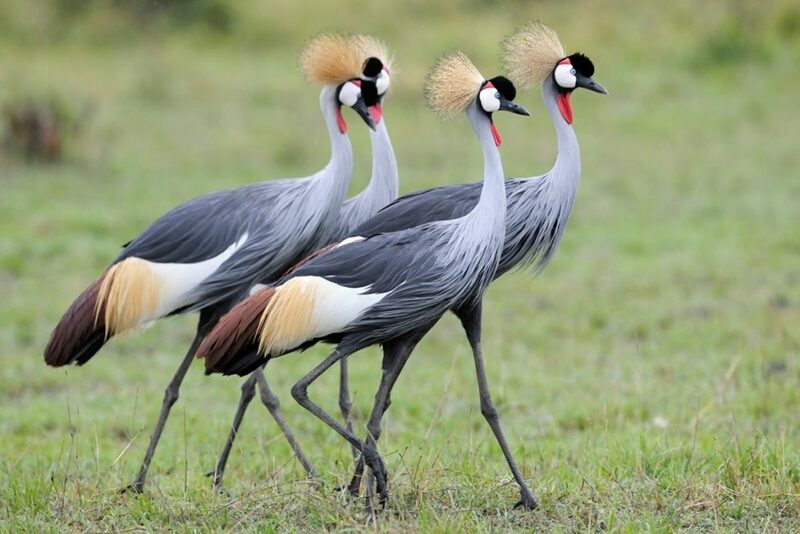 The confluence of the savanna and forest linking to the expansive forest of the Democratic Republic of Congo which allows the tourist to have a glance at both the East and Central African bird species offer unrivaled Uganda birding safaris in just one destination. 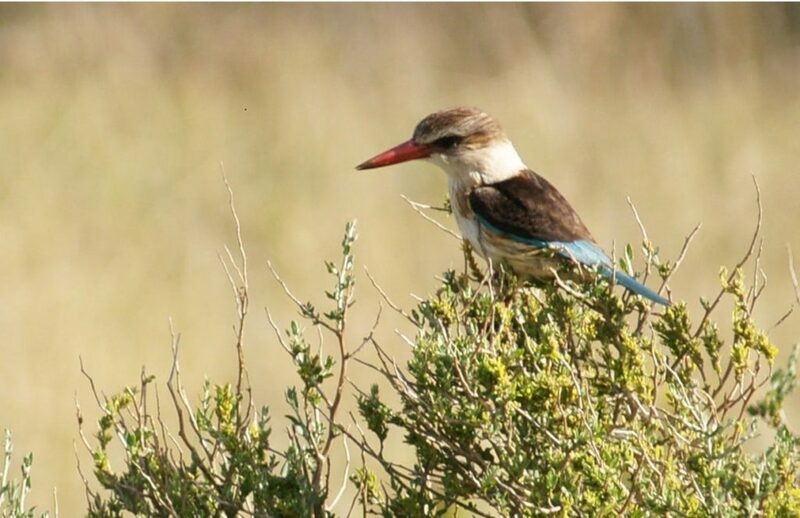 There numerous water birds too with key species including the African skimmer, African Broadbill, Martial Eagle, Black-rumped Butonquail, Chapin’s fly catcher, Verreaux’s Eagle owl, Black Bee-eater, White tailed lark and White Winged Warbler. The katwe explosion crater is one of the volcanic features with volcanic cones, deep craters with birds whirling above and salt is extracted from the salty waters. The water in these craters rotate in an amazing way. 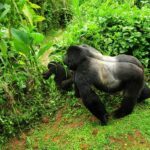 Flora in the lush sprawling savannah, fertile land, flowering plants and sparkling lakes accompanied by the humid temperatures gives the best scenic view for tourists on Uganda safari tours. 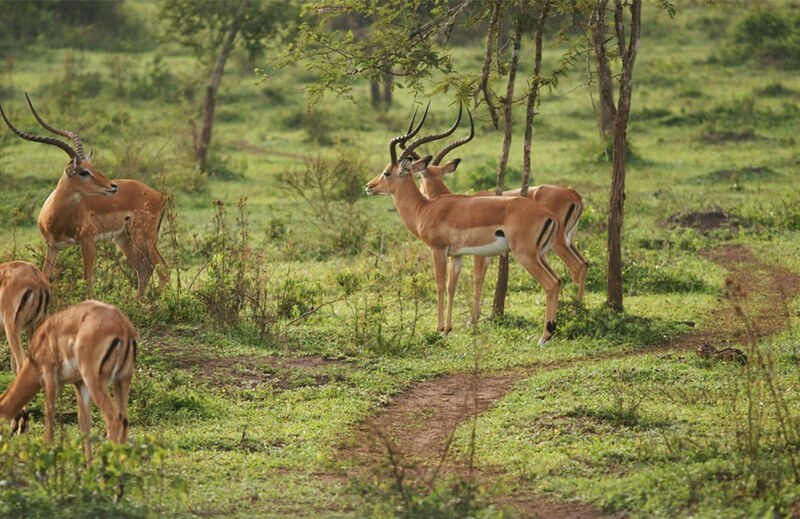 The Maramagambo forest is the major forest at the park that contributes to the niceness of the park. 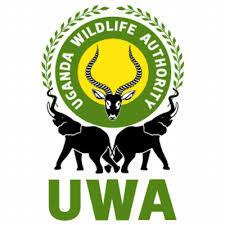 Water bodies too sit within the park like the Kazinga channel where aquatic mammals like the hippos and Nile crocodiles are seen in the waters especially in the morning. The culture of the people within the park area is so interesting for instance the historic cave and cultural museum which is very well preserved, Banyaruguru hut has a lot of valued artifacts that were formerly used as tools for daily survival. 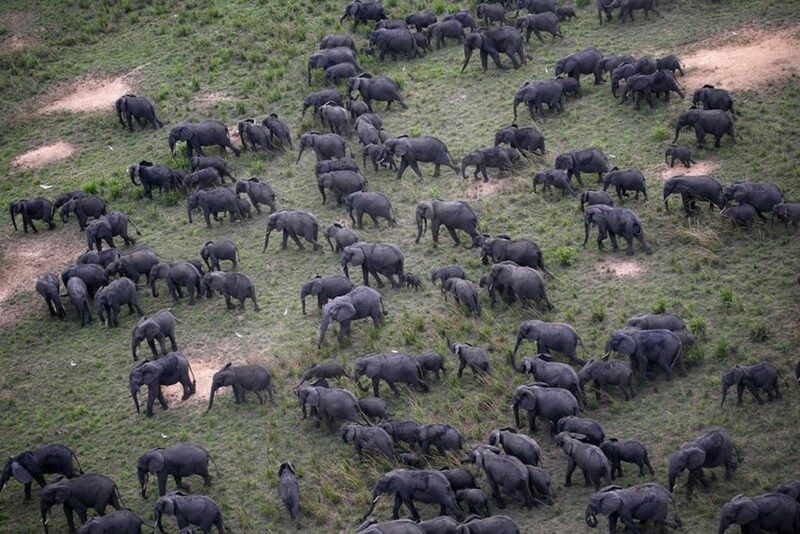 In the kichwamba escarpment is a human- animal conflict where the communities use beehives to divert destructive elephants from their farms. 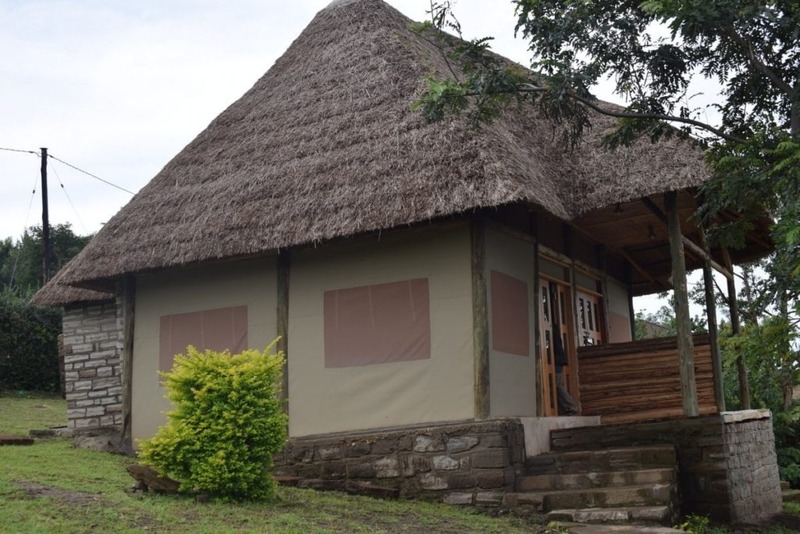 The Kikorongo (which means too much sunshine in the local Lukonzo language) women community has the cultural performers who entertain guests in the lodges and hotels, teach the tourists how to weave and therefore the culture will all be expressed before you at your comfort. 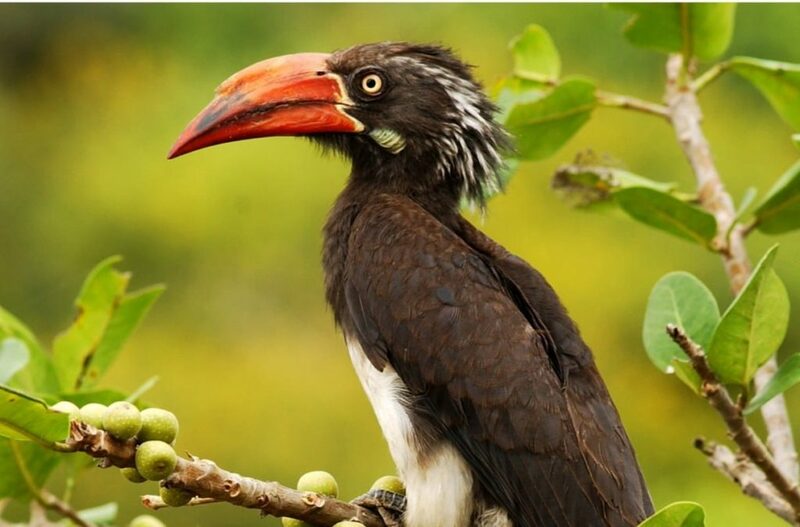 are so rewarding since the national park is classified as an important birding area with over 600 bird species including the African Broadbill, White winged Warbler, African skimmer, Black bee – eater, Black rumped Buttonquail. 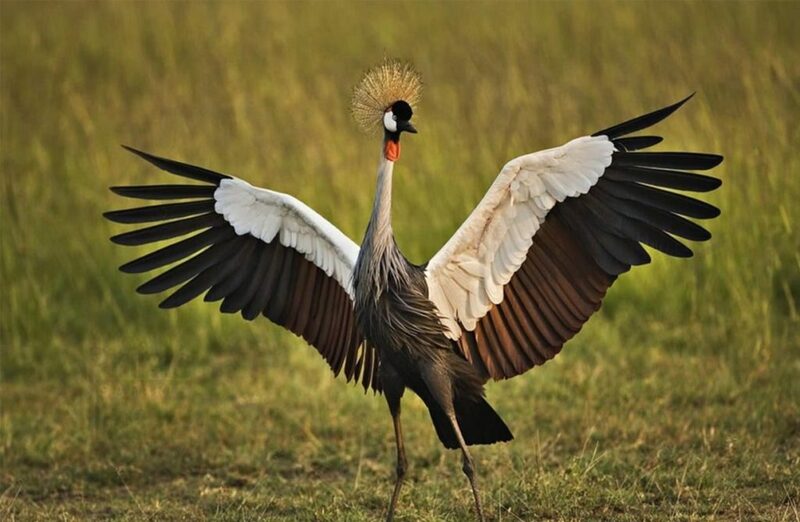 For an exhilarating birding experience these hot spots are one good place to visit; Kazinga channel, Mweya peninsula, Maramagambo forest, Ishasha sector, Lake kikorongo, Katunguru bridge area, Kasenyi area and katwe area tours. 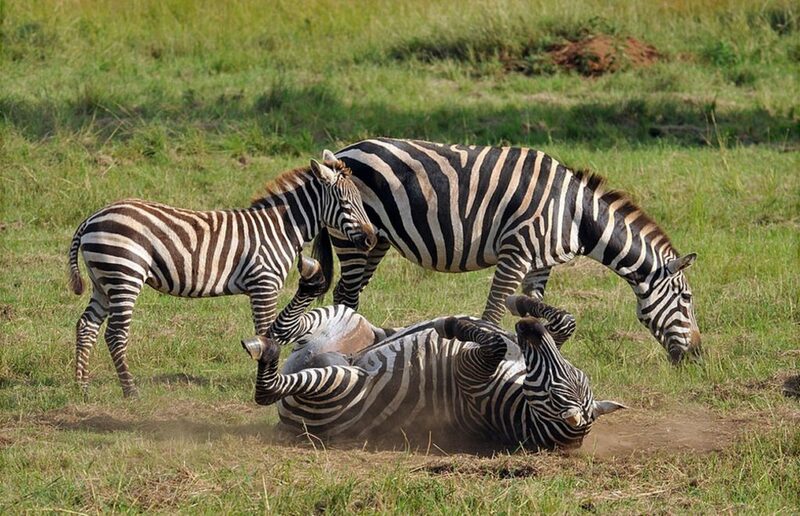 Through the park are Uganda wildlife safari trip drives at the north kazinga plains, kasenyi and the Ishasha area with a great opportunity to have antelope, buffalo and elephant sightings with the warthogs and bold baboons. As you have a drive through the park the sounds of the elephant around the crater filled valleys is so amazing and relaxing. The small cats can best be seen on night drives through the park. 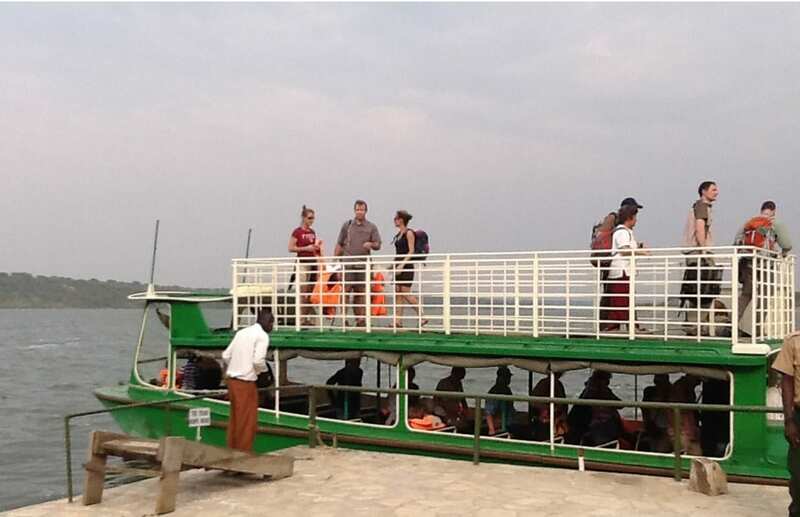 will grip the tourist to memorable Uganda adventure safari tours as the boats go past the hippos and Nile crocodiles. 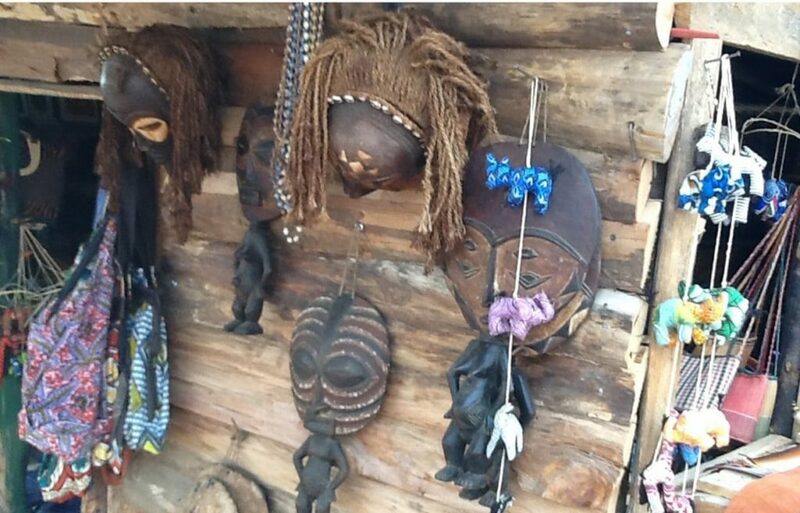 The culture will give you a lot to do away from the wild game and flora in the park for instance the Nyanz’ibiri cave community which will give you a glance of the beauty at the pearl, weaving activities from the Kikorongo women community that will teach you during a cultural tour in Uganda a lot of craft skills on handcraft things like necklaces made with a lot of passion. Bee harvesting at Kichwamba where bees are used to scare away elephants from the plant farms. 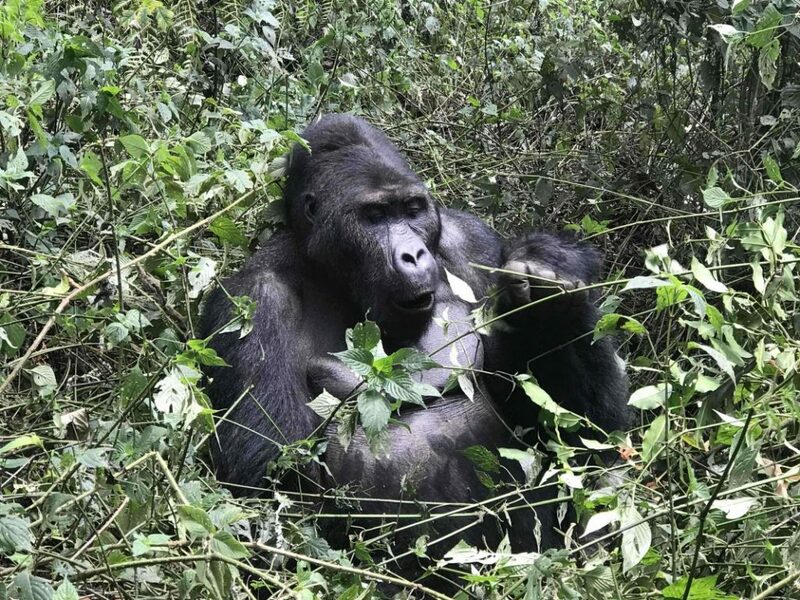 By road; From Entebbe International Park, the fastest route includes a ferry for 1.4km after an 8km drive from Entebbe then a road drive again to the Park. 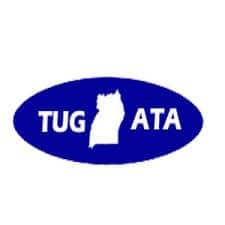 The total distance is 381km a road drive of about 7h 3min. The other route is Entebbe via Mbarara-Kasese road which is 415km taking about 7h 18min. From Kampala, the fastest route is Kampala-Fort Portal road 372km about 6h 26min to south western Uganda. 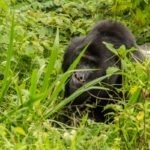 From Kasese town, via Fort Portal-Mpondwe road Queen Elizabeth National Park is 30km about 8minutes drive. 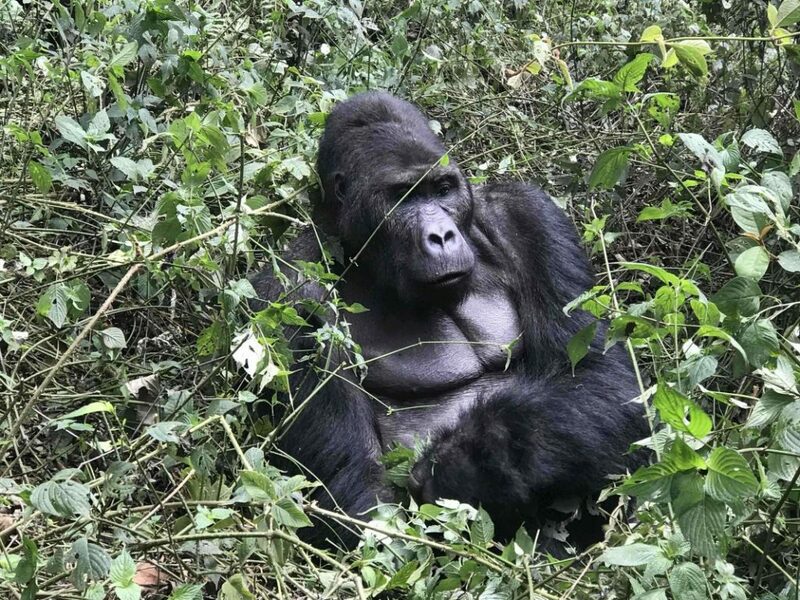 From the nearest town of Kasese, Queen Elizabeth National Park is 45.3km about 47minutes drive via Hima- Katunguru road. 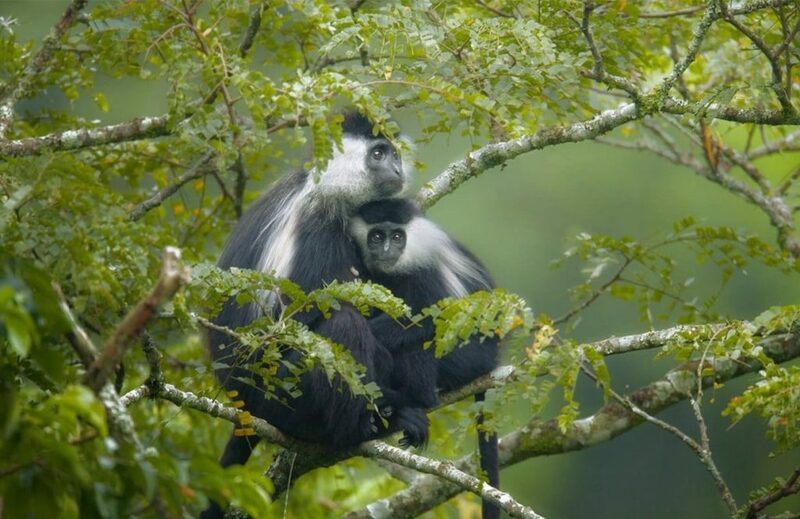 From Kibale Forest National Park, Queen Elizabeth National Park is 98.9km via Fort portal-Mpondwe road. 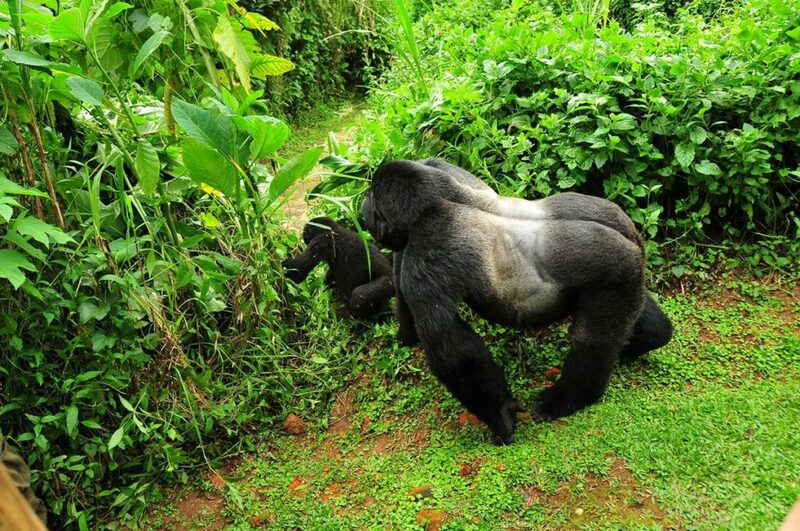 From Bwindi Impenetrable National Park, Ntungamo-Katunguru road is 300km taking about 5h 57min. 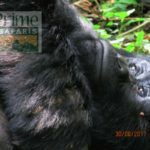 From Rwenzori Mountains National Park, Fort-portal-Mpondwe road is 35.4km about 63min. 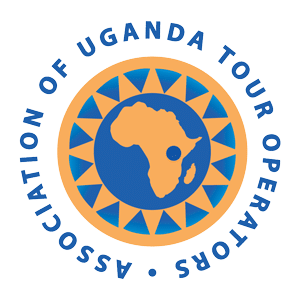 By air; A chartered flight for a wildlife tour in Uganda can be organized from Kampala at Kajjansi which takes about 51 minutes in about 290km. 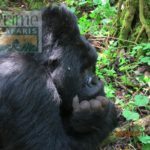 From Kasese airstrip, Queen Elizabeth National Park is 5.1km via Fort portal-Mpondwe road taking about 13minutes. 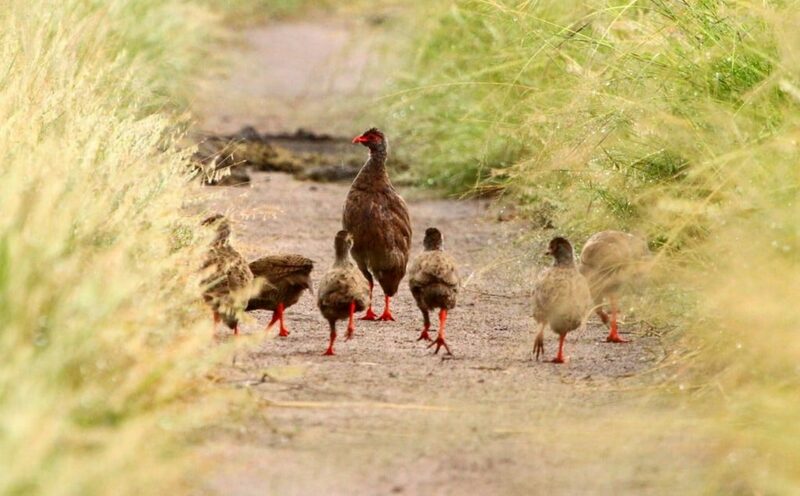 The best time of the year for a wildlife safari tour in the park is during the dry seasons in the months of January- February and June – July when the wild game is not in hiding from the cold but around pools of water. The best time of the day to successfully track down a pride of lions is in the early morning or dusk. 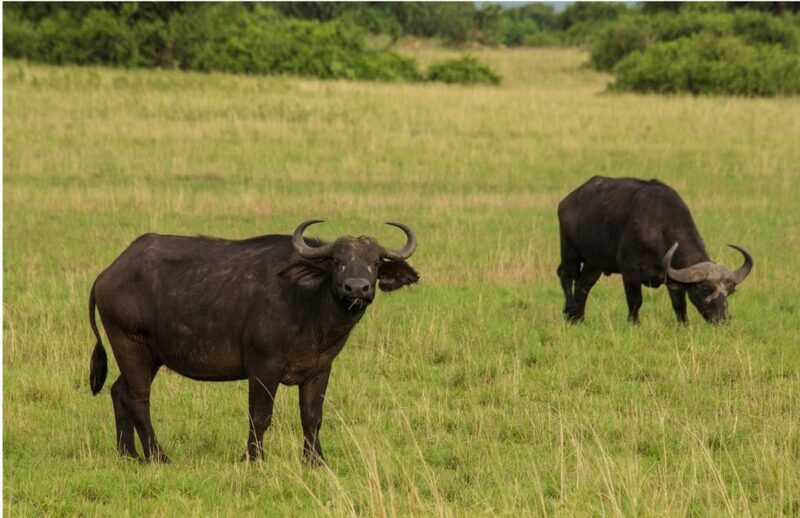 Diverse wildlife, with about 5000 hippos, 2500 elephants, over 10,000 buffaloes and over 600 bird species……wow! 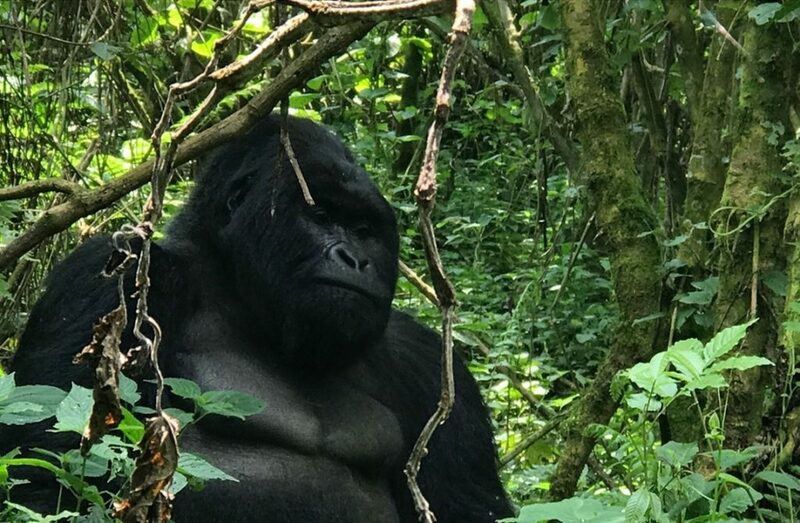 Any passionate tourist can’t afford to miss this experience just made possible by planning a safari to Uganda’s Queen Elizabeth National Park. 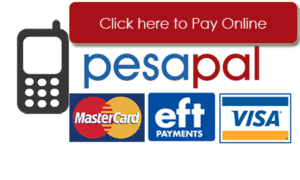 Is provided at Mweya safari Lodge located on a peninsula within the heart of Queen Elizabeth National park, Jacana safari lodge at the periphery of the biggest crater lake, The Baboon Safari resort at kyambura, Katara lodge and Kyambura game lodge which provides luxury tented cottage lodging near kyambura Gorge. 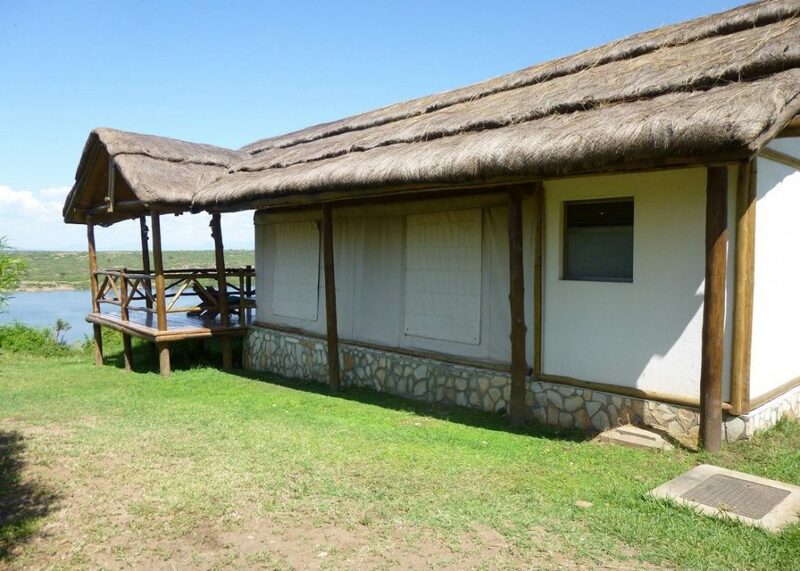 is provided at Kingfisher lodge in Kichwamba, Ihamba Lakeside safari lodge, Buffalo safari resort next to kazinga channel, Pumba safari cottages in Kyambura. 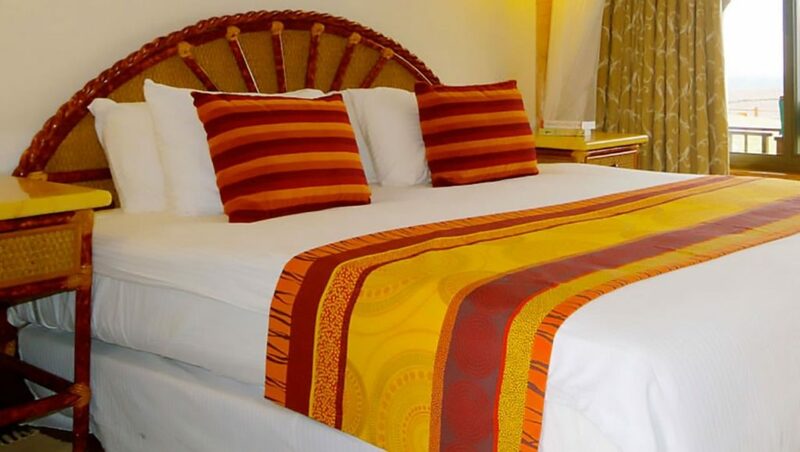 is available at Tembo safari lodge off Ntungamo-Katunguru road, Queen Elisabeth Bush Lodge, Simba safari camp, Engiri game lodge next to the entrance gate, Irungu forest safari lodge, Marafiki safari Lodge in Rubirizi.